Are you one of the 300 million people on the planet who have had a Near-Death Experience (NDE)? If so, you are part of an important minority of the population, estimated to be about 4%, playing a vital role in the transformation of consciousness. With over 700 NDEs occurring daily in the United States alone, the impact of these life changing events may be larger than any of us realize. In any gathering you attend it is likely that 1 of 25 people in the room will be NDEers, although some of them may still be reluctant to share their stories for fear of being ridiculed. Not all NDEs share the classic components of an out of body experience, travel in a tunnel of light, meetings with deceased relatives and beings of light, a life review and a choice point of whether to stay on the other side or come back. However, one trait that research has demonstrated is that most report major psychospiritual transformations which fall into four categories. They have no fear of death, an altruistic sense of purpose for being sent back, enhanced intuition and bioelectromagnetic sensitivities including healing abilities. There is also a common universal message that unconditional love is the most important NDE lesson. While NDEs have occurred throughout history with the earliest description attributed to Plato in 420 BC, there has been a modern exponential upsurge since the production of the first commercial ventricular defibrillator in 1958. It was considered the beginning of reanimation research into reversibility of death as a component of cardiopulmonary resuscitation (CPR). During this Easter season it is interesting to note that resuscitation can also be thought of as a form of resurrection. What if the long prophesied Second Coming of Christ is actually happening right before our eyes as a byproduct of our technological advances in CPR? 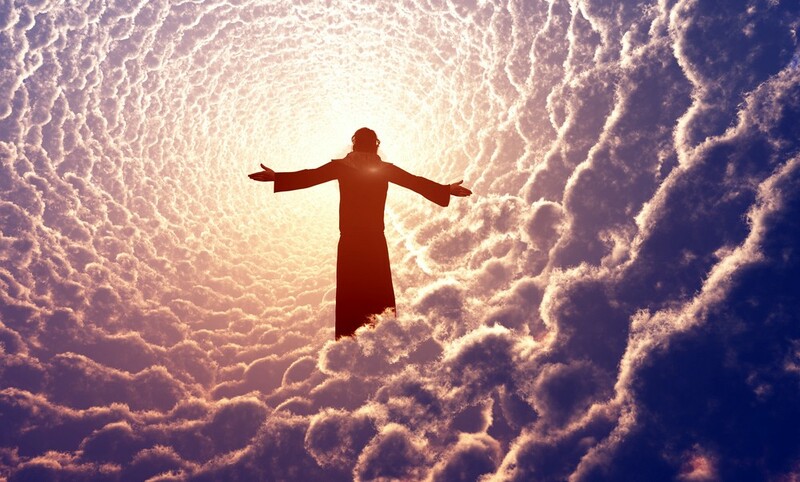 Rather than Jesus returning in the clouds with an army of angels, instead we have millions of resurrected people who seem to embody Christ Consciousness as intuitive healers spreading the message that unconditional love is what life on earth is all about and death is nothing to be feared. The good news for the rest of us who had not had NDEs is that research shows we can also lose our fear of death simply by reading the many books written by these chosen folks. Just look for a book with Light or Heaven in the title, and you can start your own personal transformation of your relationship with death now. It is no coincidence that many NDEers feel called to work in hospices to share their messages of hope. Much of this valuable research information prior to 2016 is available for free via the Internet through the Journal of Near-Death Studies. The majority of us find ourselves experiencing this transformation at a much slower pace through the painful process of chronic illness which can get us to the same place of love and forgiveness if we are able to allow ourselves to receive the messages from our bodies rather than attempt to shoot the messengers. For more insight into this healing path I am leading a retreat 7/26–28/2019 at the Art of Living Retreat Center in Boone, NC, “From Pain to Personal Transformation.” In the spirit of Teilhard I also offer on-line coaching for self-healing.